Using thermal imaging, we have mapped the damp upon this ceiling. The damp survey was undertaken in Hackney. A slow drip from the ceiling triggered the request for a damp survey and subsequently we attended. 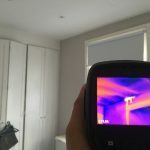 Despite the primary visual damp survey showing only a small area of staining and the few and far between drips from the ceiling, we were subsequently able to use thermal imaging to demonstrate the true moisture map. 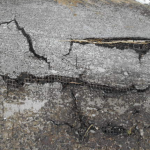 Damp surveys are important for collecting and recording the condition of the property for insurance purposes or for developing a plan of action to tackle the damp problem. We offer you a 24-48 hour turn around of all surveys and reports at no additional cost. 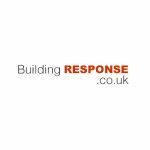 With our low cost call out fees and our friendly, all encompassing service, whether you are a property maintenance company or a private home owner, contact Building Response today and solve your damp problems!